Hoy os proponemos un interesante proyecto SVE en Eslovenia a realizar a partir de Septiembre 2017. Aunque la fecha parezca muy lejana, es la mejor forma de poder organizar vuestras vidas con tiempo y saber si vais a tener un nuevo proyecto dentro de un año, ya que os comunicarán el éxito de la selección como muy tarde en enero. Ya conocemos la entidad de acogida por haber trabajado en pasado con ellos y haber enviado a otros voluntarios, asi que Ingalicia seguirá siendo la única entidad de envío española (tienes que especificar en el email de candidatura que irás con ingalicia). 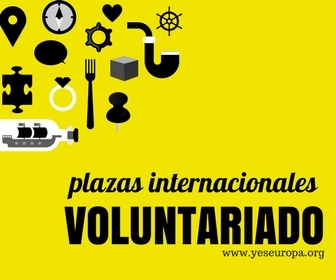 Aunque en el proyecto participarán 5 voluntarios europeos, desde España solo irá 1 voluntario/a. We would like to inform you that for the next dead line (2nd february 2017) Zavod O (http://www.zavodo.org/lang/grb/) as a coordinating and host EVS organisation with the status of youth center is planning to apply new long-term EVS project named »Zavod O – Kids in Action 4«, for which we’ll need 5 volunteers from different countries. The duration of the proposed project activities is 11 months (september 2017 – august 2018) and the main idea is to involve selected volunters into the work of 5 daily local care centers for children and youth, that exist in Škofja Loka, Slovenia. They all shere same target group, which are children and youth between 8 and 18 years of age, with different problems, who spend their free time aimlessly and in a disorganised way, in idleness and boredom, who are deprived from normal family life experience. Daily Care Centers give children and youth a place, where they feel confortable and safe, where they can develop their social skills and get quality support considering their behavioral, emotional, learning and other diffilculties. The program aims to provide support to learners with specific learning needs and to those with adolescent problems. The program includes group work and activities with adolescents, cooperation among different institutions, learning help, advisory work, holiday camps, daily excursions. Volunteers will be included in the work of each daily care center as equal members of their teams and as such they will have an opportunity to show and improve their own abilities, develop sense of initiative, gain new skills and get new knowledge throught organizing and realizing different activities (workshops, courses, individual support, sports, games, plays, presentations, lectures). At the same time they will get familiar with theory of preventing work with youngsters and with social care sistem in Slovenia. Volunteers will also have an opportunity to realize projects within other local partner organizations in order to strengthen their involvement in the local society.